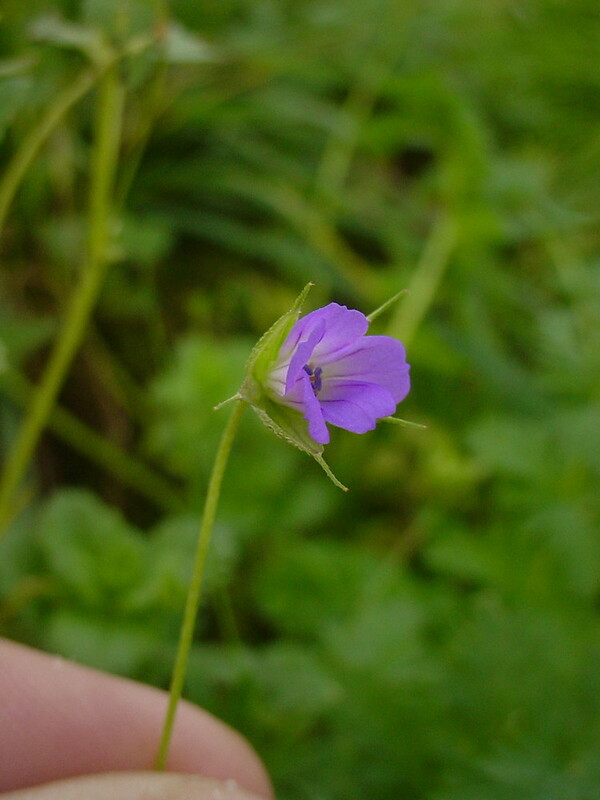 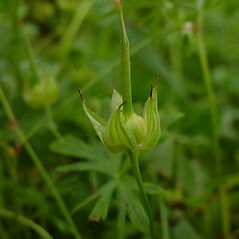 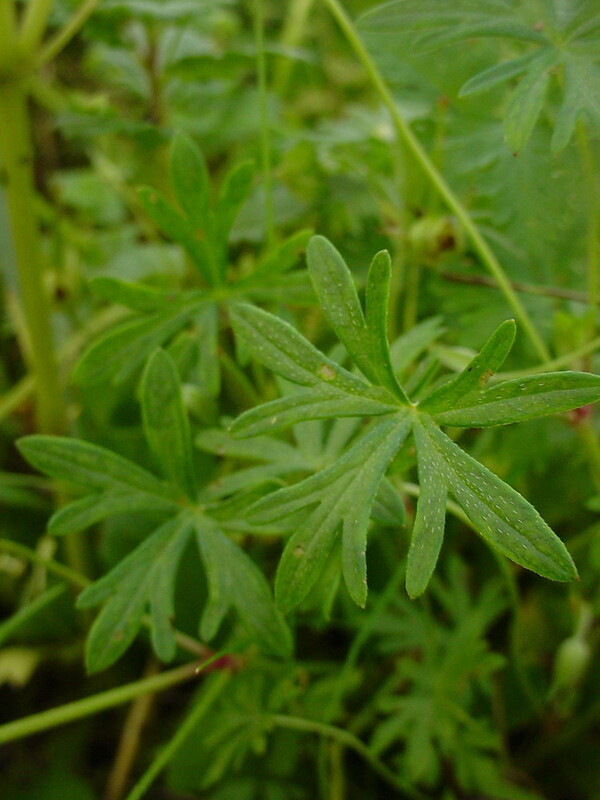 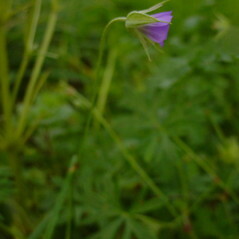 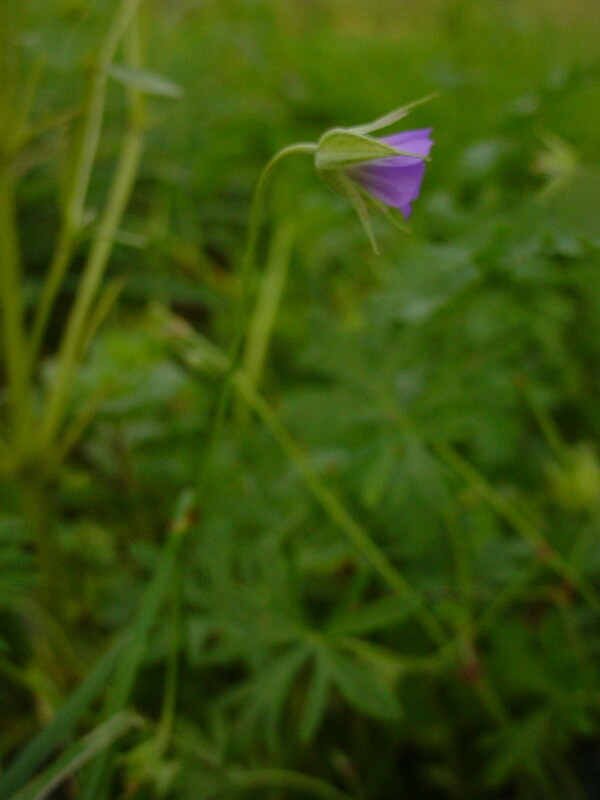 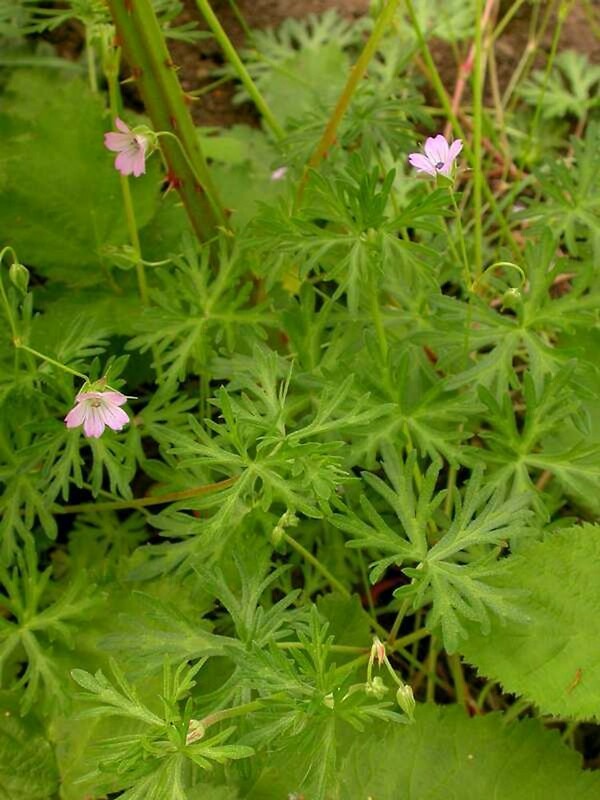 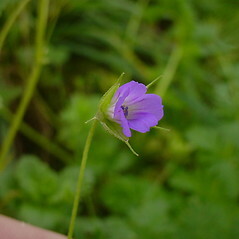 Long-stalked crane's-bill is native to Europe, western Asia and northern Africa and introduced worldwide including in scattered locations across North America. 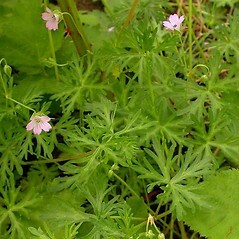 In New England this species has been collected only in Massachusetts. 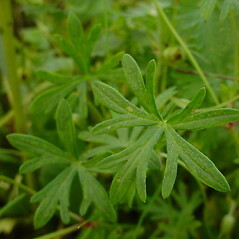 plants perennial, from rhizomes, and leaf blade segments 7-12 mm wide at the base, 5-7 lobed in the distal half (vs. G. columbinum, the plants annual or biennial, without rhizomes, and leaf blade segments 2-3 mm wide at the base, 6-12 lobed in the distal half). 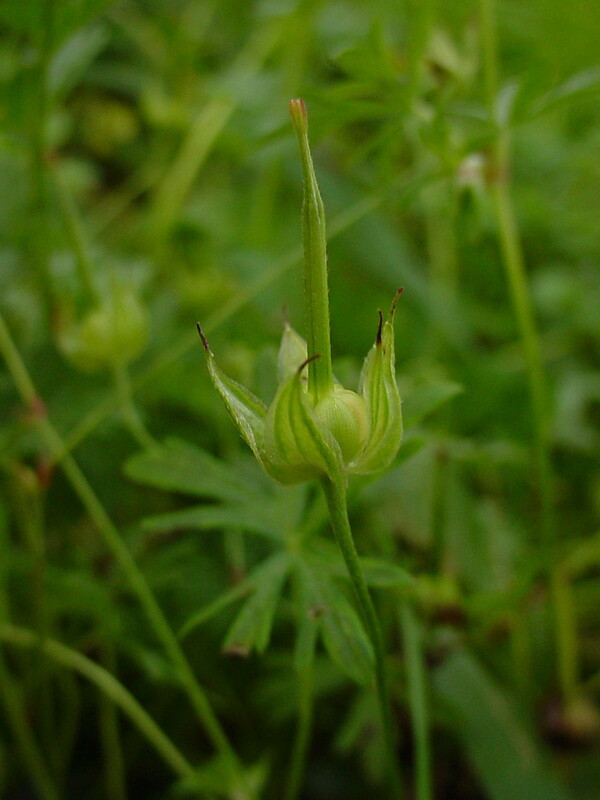 pedicels spreading-pubescent with both longer eglandular hairs and shorter glandular hairs and petals 4–6 x 2–3 mm (vs. G. columbinum with pedicels retrorsely appressed-pubescent with eglandular hairs and petals 8–10 x 4–5 mm).